These award-winning chocolate chip cookies are completely grain free, having been made using almond and coconut flour. 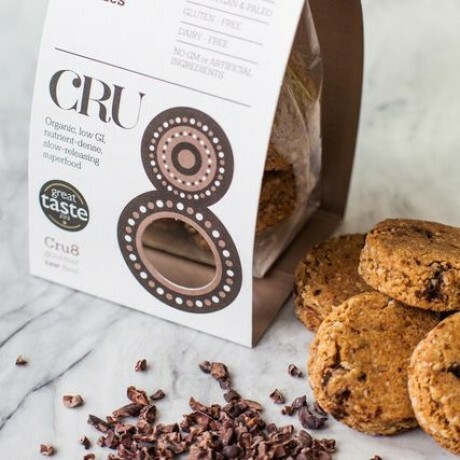 Cru8 chocolate chip cookies are organic, nutrient dense, low GI and a slow releasing superfood. The dense cookies have a rich chocolatey flavour that you don't need to be gluten or dairy intolerant to enjoy. 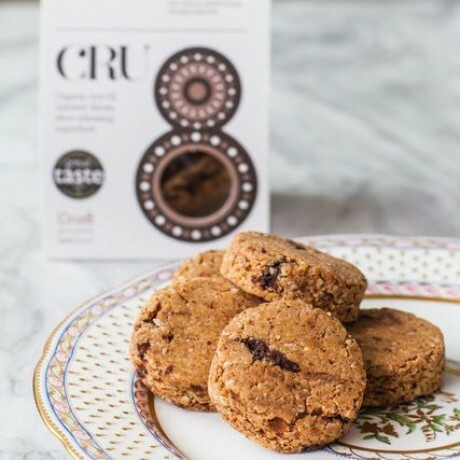 Instead of baking, the producers at Cru8 have developed a delicate drying process to ensure all the nutrients and active enzymes remain intact while producing a really delicious and healthy treat.